2 men jump in the sky of Dubai with a jetpack: their FLIGHT will make you hold your breath ! The company told that in this video marked a new milestone in the field of human flight. 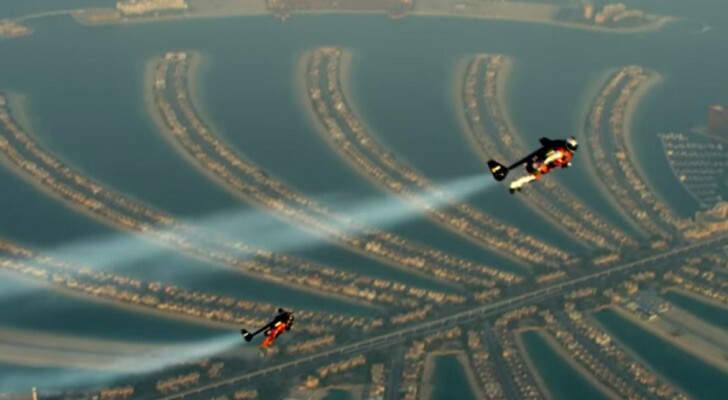 Yves Rossy and Vince Reffet have made many jumps with the jetpack, but none of them was as evocative as flying over Dubai, with its skyscrapers and its unmistakable profile. Thanks Mom for teaching us that falling we become stronger, for teaching us to try again ... THANK YOU! 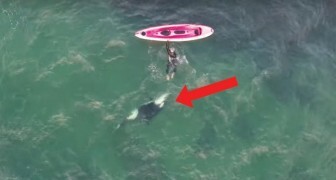 He goes kayaking --- and who joins him? Extraordinary. 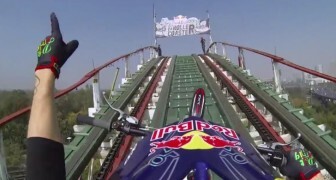 He goes with his bike on a rollercoaster: what he does is scary! A boy with Down syndrome gives his mother a special gift!